Learning how to make chocolate sauce is so simple that once you have had the real thing you will never go back to the store bought kind. There are endless ways to make chocolate sauce and a wide variety of ingredient combinations as well. You can make it on the stove or in the microwave, and make it thick or thin according to what you need for your recipe. 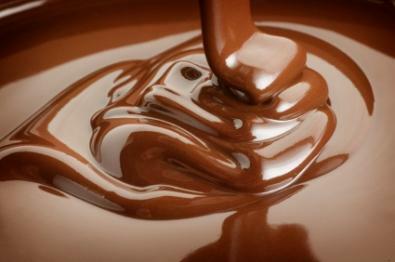 Below are several different recipes for chocolate sauce. Each requires a different set of ingredients so you can choose which is easiest for you to put together from food stuffs that you already have on hand. Always gather your ingredients and equipment before you begin to cook. Use the best chocolate or cocoa powder you can find or afford. The better the chocolate, the better your sauce will be. Any of these chocolate sauces can be made a couple of days ahead of time and kept chilled in the refrigerator. This chocolate sauce is less expensive to make because it doesn't require chocolate, and instead relies on cocoa powder, espresso powder and vanilla extract for flavor. In a heavy small saucepan combine half and half, sugar, cocoa powder, butter and espresso powder. Whisk over low heat until sugar is dissolved and butter melts. Increase heat to medium and whisk until sauce begins to simmer gently. Remove from heat, whisk in vanilla extract then cool sauce completely. Reheat over a low flame or in the microwave before moving. This decadent chocolate sauce incorporates two kinds of chocolate for a rich, complex flavor. In a heavy medium saucepan bring water and corn syrup to a simmer. Reduce heat to low. Add chopped chocolates and stir until smooth. Reheat over a low flame or in the microwave before using. Dark corn syrup is an uncommon ingredient in chocolate sauce, but it imparts an incredibly robust flavor to this sauce. In a large saucepan, bring cream and corn syrup to a simmer. Remove from heat and add chocolate. Stir chocolate mixture until melted and smooth. Let stand until slightly cooled and thickened. Use immediately or reheat over a low flame before using. Over medium heat in a heavy medium saucepan melt chocolate chips and butter, stirring frequently. Once the chocolate has melted add the condensed milk and whisk to combine. Add cream, vanilla and salt and cook for about five minutes, whisking constantly to prevent scorching.